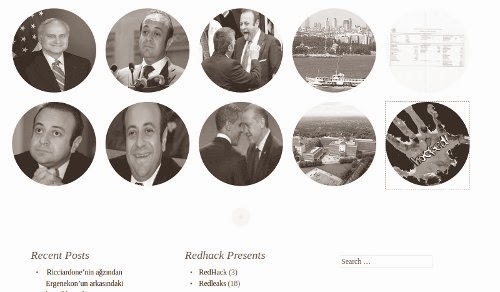 The Turkish hacktivists RedHack has leaked documents which is said to have details of Egemen Bağış, the Turkey's Minister for EU Affairs & Chief Negotiator. The group provided a ".onion" link in their official tumblr page which is said to have contain the documents. One of the documents contains details about Egemen stay at London Hilton Park Lane.
" When we have checked the bill we have realised that Egemen Bagis was confused between tweeting verses and mixing the wines and whiskeys. These people call themselves devoted believers in religion. Really? " Hackers said in their post. Another document is claimed to have revealing :the sophisticated details of the lifestyle of Egemen and Beyhan Bagis, their daily routines and dairy"
The group also is claimed to have leaked a document contains "the list of businessman and their contact details that would join PM Erdogan during his US visit" and more documents has been uploaded in their onion page. BSM-Independent Cinema Center has released the first teaser of the film " RED ! " - A Movie based on the RedHack hacktivist collective. The film is getting ready to meet its audience in Independent Cinema Center, on 15 February 2013. The film “Red!” purporting to discuss its subject widely with the contributions of many experts examines RedHack and its activities that come to forefront in the subject of cyber activism in Turkey in different aspects. The RedHack group is one of the famous and oldest Hacker group, founded in 1997. The group has been named a terrorist organization after hacking into the systems of several Turkish government agencies. Despite the fact that authorities arrested some of their alleged members , the group is still going strong. Earlier this month, the RedHack hackers leaked over 60k documents from Turkey’s Council of Higher Education, exposing numerous instances of corruption in the country’s educational system.